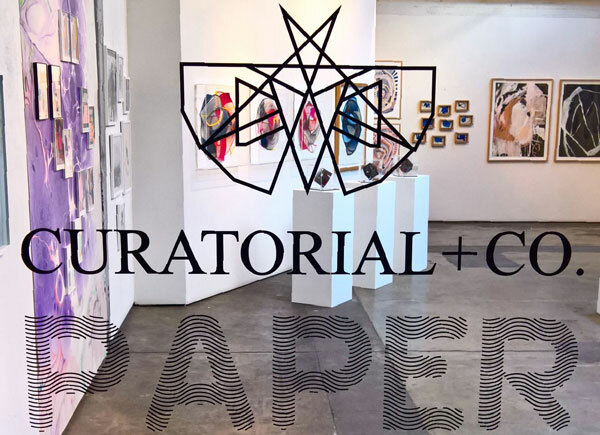 THE CONCEPT OF PAPER as subject as well as object was explored in Curatorial+Co.’s inaugural group show, PAPER, held from 11-22nd October 2016 at Depot II Gallery in Danks St, Waterloo, Sydney. Celebrating the online gallery’s first ‘paper’ anniversary, artists from Australia, USA, Poland, Sweden, Canada and Scotland showed works of art on and of paper, exploring the intricacies of its malleability and complexities of its form through working the subject’s softness and strength, layers and plains, movement and composition. Comprising painting, drawing, mixed media, sculpture and wallpaper pieces, the exhibition showcased the personal and often emotional link that many of the artists have to this versatile medium. Our incredibly talented artist line-up included: GUNJAN AYLAWADI, KATE BANAZI, COLLEEN DAROSA, DEAR HUMAN, SUSIE DUREAU, ANITA IACOVELLA, ANTONIA MRLJAK, DIPTAA SLONIIR, MAIRI TIMONEY, DANUTA TOJKA, NOIRIN VAN DE BERG and MICHELLE WEINBERG We would like to thank them from the bottom of our hearts for taking part in the show and sharing their amazing talent with a new audience! The show was so well received – a testament to the strength of the works on show and the talent behind them. If you missed the show, you can still see the catalogue online ONLINE CATALOGUE HERE, and there are still a few pieces available from the show. Please CONTACT US to enquire. SPOT YOU AND YOUR FRIENDS AT THE 15TH OCTOBER OFFICIAL OPENING!